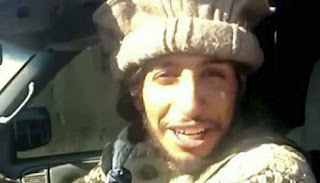 Abdelhamid Abaaoud, the notorious terrorist who orchestrated the Paris massacre, boasted about how easy it was for ISIS terrorists to move freely across Europe by mingling with migrants. This was reportedly revealed by the woman who helped catch him. Sonia met him two days after the attacks, on an industrial estate in Aubervilliers, a northern suburb of Paris, where people from Romania set up shanty towns, the MailOnline reported. Abaaoud, a Belgian-Moroccan, said around 90 jihadists - including some from Britian - had returned from Syria using false papers and were ready to spread further carnage. Sonia alterted the security agents that Abaaoud moved to a flat in the suburb of St-Denis. Abaaoud was killed during the police raid on November 18 along with another ISIS operative. Sonia has since gone into hiding and changed her identify, the report said.